Welcome to spring and the April edition of Italian Food, Wine and Travel. We’re off to the Italian islands! Read more articles about island wines from our group of writers and explorers after my article below. 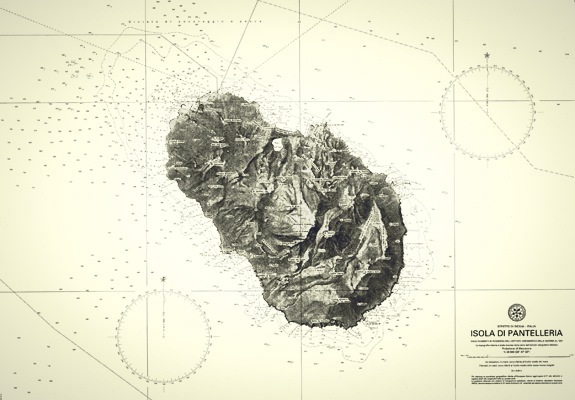 Of these islands my focus here is the largest Sicilian satellite, Pantelleria. It might not have the allure of Sicily however noteworthy wines are coming from its soil. Pantelleria floats off the southwest corner of Sicily close to Africa. With nowhere near the number of visitors anyone wanting a quieter (wine) trip is in luck. If you like capers your luck doubles. Pantelleria capers and caper berries are reputed the best in the world. Sitting in the middle of the Mediterranean means an abundance of sun and sea. Along with these comes salt and wind: the hot ‘Scirocco’ wind. It blows strong and dry and vines were traditionally planted in shallow holes known as conche, training them low to the ground for protection. Viticulture revolves around protecting vines and almost everything is done by hand. Geek Info Alert! This is a form of alberello vine training. I remembered it for my latest exam by the ‘lo’, meaning low to the ground. In Pantelleria it’s called Alberello Pantesco and UNESCO added it to their Intangible Cultural Heritage list in 2014. It’s basically bush vines in a shallow hole. Many vignerons maintain conche vineyards today. And terraced vineyards on steep hills are also common. The Island specializes in a centuries old wine with ancient Arab, Greek, and Italian roots. 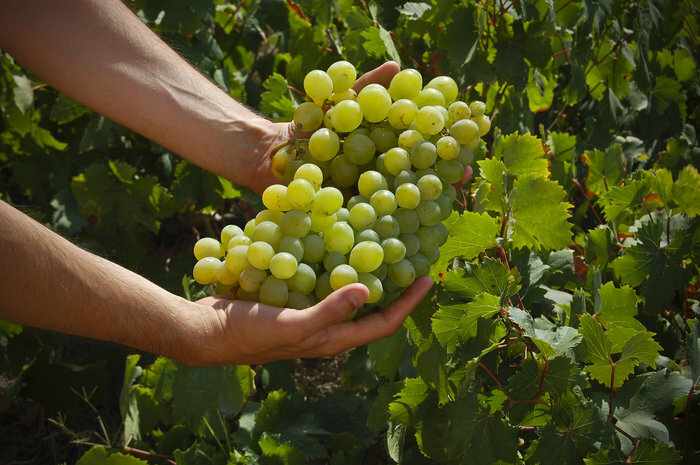 The responsible grape is Zibibbo (aka Moscato di Alexandria, or Muscat of Alexandria), a member of the Muscat family. Zibibbo stems from the Arabic word raisin, ‘zabib’. Plump, ripe Zibibbo grapes ready for harvest on Pantelleria, held here by Rizzo’s son Alessandro. Vines ranging from several to more than 100 years old produce highly aromatic, full and sweet historic wines. Today dry (secco) and half-dry wines are popular too. Harvesting low vines is back-breaking work! Albarello Pantesco trained vineyard. Look hard to see the shallow hole at the base of each vine. For this article I contacted Francesco Rizzo, seen here in one of the Vinisola vineyards, to learn more about him and the operation. Like many wineries in Italy, it started with family. Rizzo grew up near Campobello where his family has a vineyard. 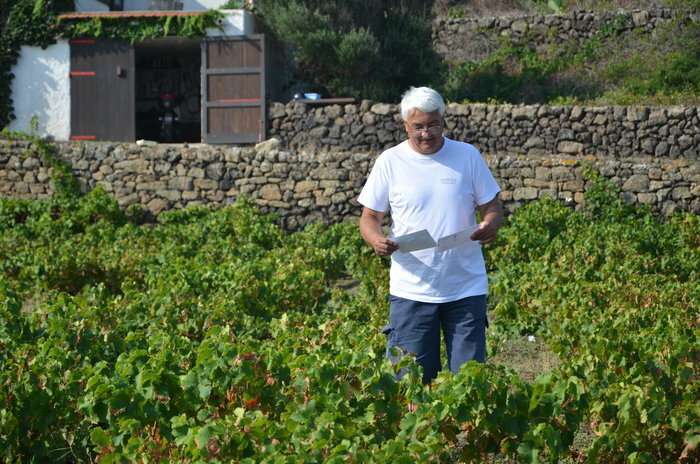 Some years later after returning, he and five friends, also from the island, sat around a table over a glass of wine discussing their common interest: a deep love for Pantelleria, its uncontaminated agricultural environment, and Zibibbo. Together they started Vinisola Winery. Oenologist and agricultural expert Antonio d’Aietti is their winemaker. 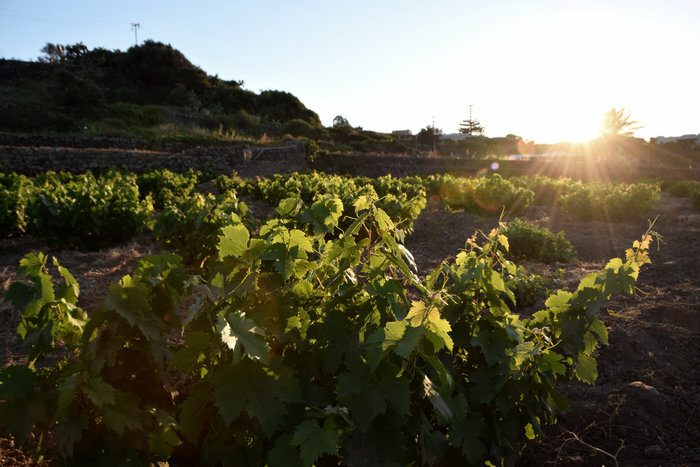 The approach to making wine is a reflection of their passion: respect for Pantelleria tradition and agriculture, and the pure expression of Zibibbo. While a few of them have minor vineyard holdings, they source additional grapes from owners of other small vineyards on the island. Total production is about 48,000 bottles (375 hectoliters). Their first vintage was 2011 with three offerings that featured the star grape of the island, Zibibbo: Arbaria Passito di Pantelleria (one of the great sweet wines of the world), Zefiro Pantelleria Bianco (dry white), and Pantelleria Moscato Liquoroso (fortified wine), all made from Zibibbo and all DOP (Denominazione di Origine Protetta or Protected Denomination of Origin) wines. Since then, they added others to the core line up including Shalai, a charmant method Spumante Demi-Sec that had disappeared from the island. So successful (they initially produced just 3,000 bottles), more equipment was purchased to double Shalai production. They are certainly on the right track! Each vintage of Arbaria earned awards since 2011. Most recently Decanter gave a 95 score to the 2015 vintage. All vines on the island are non-irrigated. 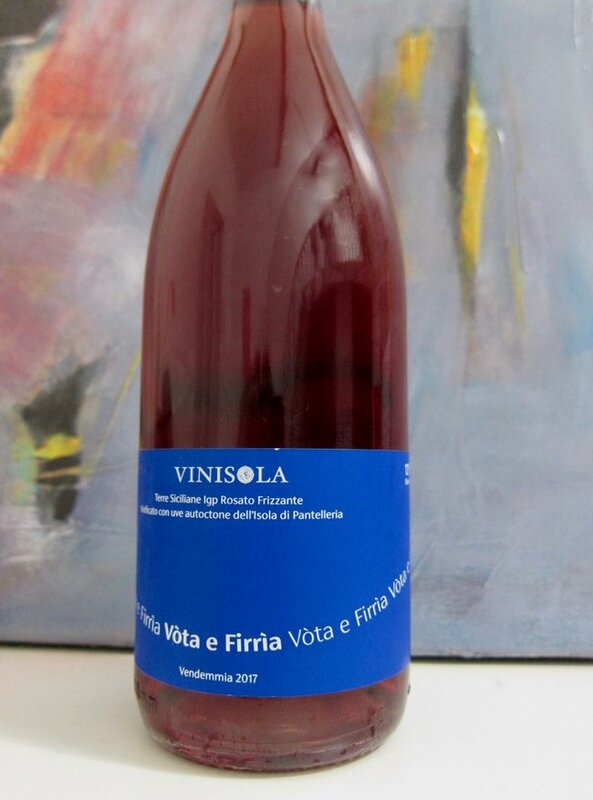 In the winemaking process, Vinisola uses indigenous yeasts only for fermentation. On the nose I pick up medium intensity aromas of citrus, Mediterranean scrub, orange blossom, and spice notes with a savory quality. Flavors of citrus prickle the tongue, giving way to ginger and a saline quality on the medium length finish. 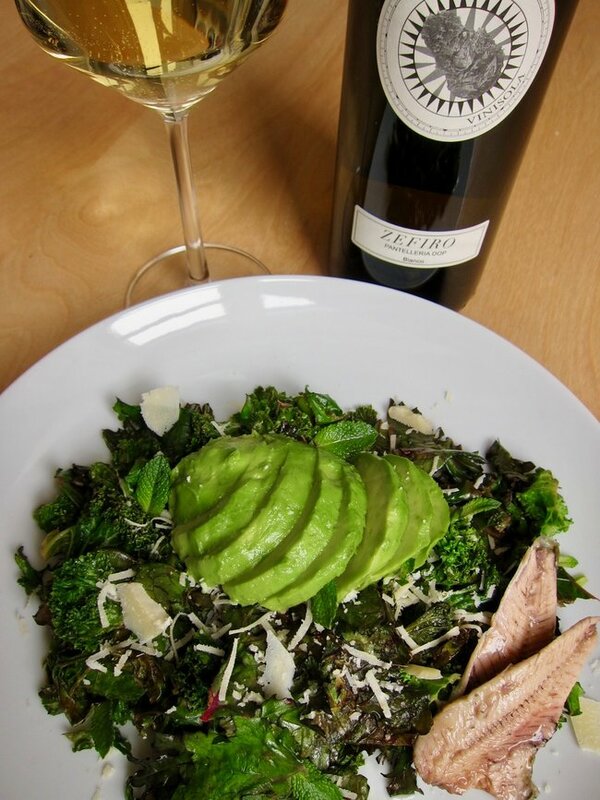 A seamless pairing with a simple dish: wilted kale, avocado, sardines and Parmigiano Reggiano. 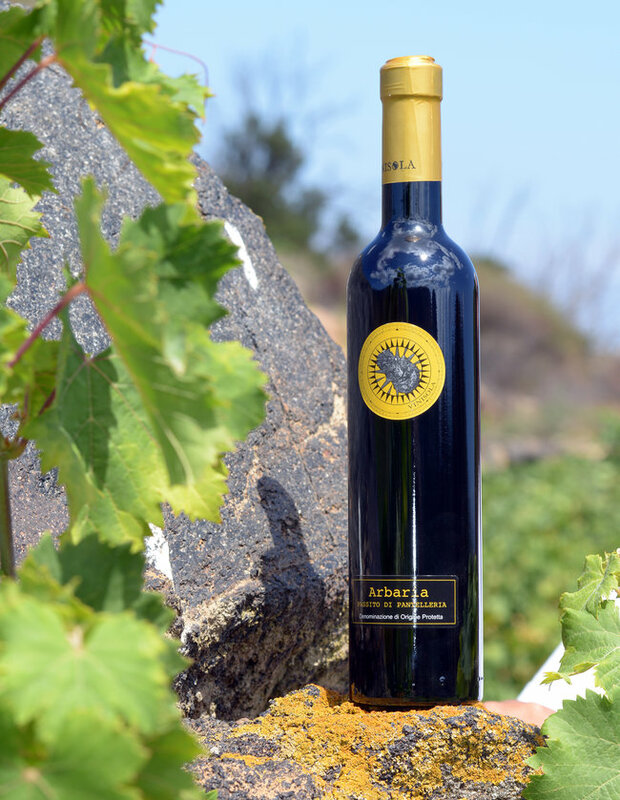 In Pantelleria farmers call the Perricone grape ‘Nero Nostrale’. The grapes for this rosato are from 65 year old, own-rooted vines. The color is a bit lighter than in this photo, more of a deep strawberry. Aromas of red berries and rose abound. Flavors are also dominated by red berries with the addition of savory herbal notes and tart acidity. There’s a slight tannic feel, bright acidity, and a refreshing tingle that lift the wine, making it linger endlessly. A dry, frizzante wine (small bubbles, less than a sparkling wine or Champagne) I’d happily invite to any table! Passito di Pantelleria is one of Italy’s great dessert wines. Two harvests are completed to produce the style. Early August, part of the grapes are harvested then laid on mats or shallow wooden crates called ‘graticci’. These are placed in open air spots to dry in the sun (the appassimento method). As they shrivel and loose water, flavors and sugars concentrate. A second harvest takes place late August but the grapes are immediately processed. During their fermentation the sun dried grapes are added. The end result is a concentrated and complex, ageworthy wine. The 2012 vintage has abundant orange blossom, caramel and coffee aromas. On the palate lush citrus fruits, figs, and honey mingle with creme caramel then slide into almond notes on the finish. Complex, rich, and delicious. Mark and I sipped this chilled, sharing it with a friend on a lazy Saturday afternoon. It’s a wonder viticulture survived on the island. Unfortunately production decreased in the mid 2000s, so much that not much Passito di Pantelleria was made. But committed individuals like Rizzo and his partners, and other larger Sicilian winery investments like Donnafugata keep it and other Pantelleria wine alive. I’m glad to highlight this smaller producer. If interested in Vinisola wines, contact them here. Also, Visit Sicily has abundant information about Pantelleria for anyone interested to know more. Join me and the following writers on Twitter Saturday, April 6th at 11am EDT, 17:00 in Italy for an Italian island wine chat. Follow us there using the hashtag #ItalianFWT You can ask questions and/or leave comments as you wish! Here’s what we have in store, all articles will be live this Saturday. So many interesting nuggets in this post, I don’t know where to start! But, I have to admit, that Rosato Frizzante of Perricone and Zibibbo has my full attention. If it’s available in the US, I will find it! Great post, Lynn. Cheers! I just Coravined a second taste of that very wine this evening. I can tell you it might just be my new apero wine! Not available in the US yet but keep your fingers crossed. Thanks for sharing this information Francesco! Excellent exploration and photos of Pantelleria and it’s wines. Will definitely check out Vinisola. Thanks for sharing! And thanks for stopping by Steven! It’s a small place with big hearts and flavors. It’s good to learn committed individuals fighting adversity from the nature and continuing believing in their land and wine heritage. A motiving story! Another wonderful article exploring a region we know very little about…curiosity absolutely piqued! I wonder if we’re able to find any of these wines around here, although I’m not hugely optimistic. Ah well, just requires a future AdVINEture ;). Thanks so much for the lesson! I didn’t know much about Pantelleria either. And I can firmly say Mark and I need to go to Savor the Harvest there, perhaps together?!? I feel much more knowledgeable after reading this interesting article. Thanks for the information. And thank you for stopping by Wendy! I’ve only had the sweet wines of Pantelleria so was nice to read about some others. I can only imagine how their backs hurt after harvesting those grapes. I saw something similar when I was in Greece and they were circular wreaths on the ground. It was my first sweet and dry wine from this island. I particularly liked the Frizzante, my husband called it the ultimate aperó wine. The backs- no kidding! Ha, ha! Yes, I learned a lot from the whole group this month, geeky stuff and all. Interesting to learn more about Zibibbo and the story behind Vinosola Winery. Great post! Thanks Jane, have you ever had zibibbo! Loved your article, the food- wow! Wow! Thanks for the introduction to Zibibbo Lynn (does it go another name in other places in Italy?). Great overview. 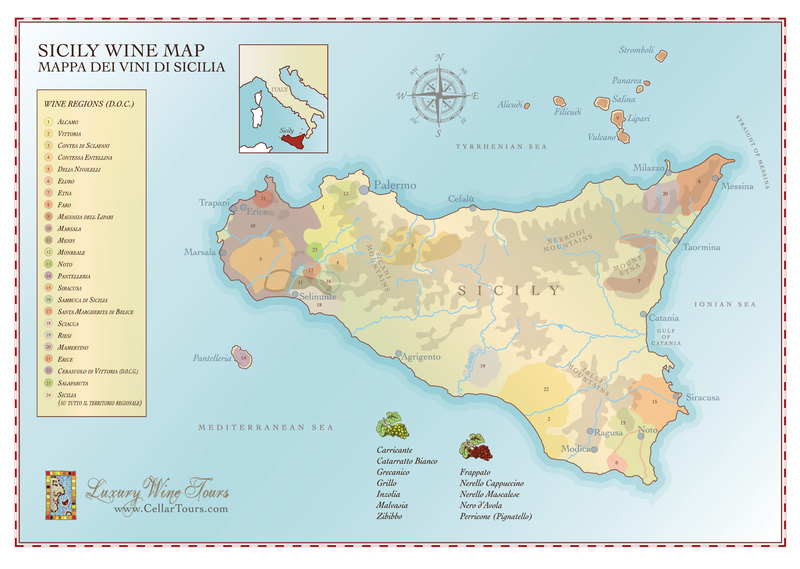 And I love the sound of all the wines, especially the Passito di Pantelleria! I’ll have to do additional research to answer your question Martin. It’s also called Moscato d’Alessandria or Moscato di Alessandria in Italy. And in other countries: Moscato di Pantelleria; Moscatel de Alejandria (in Spain), Moscatel de Setubal (in Portugal), Muscat d’Alexandrie (in France), Muscat Gordo Blanco (in Australia), Muscat of Alexandria (US).